Robotics Club members make modifications to a robot. Photo by Rosanna Wang. 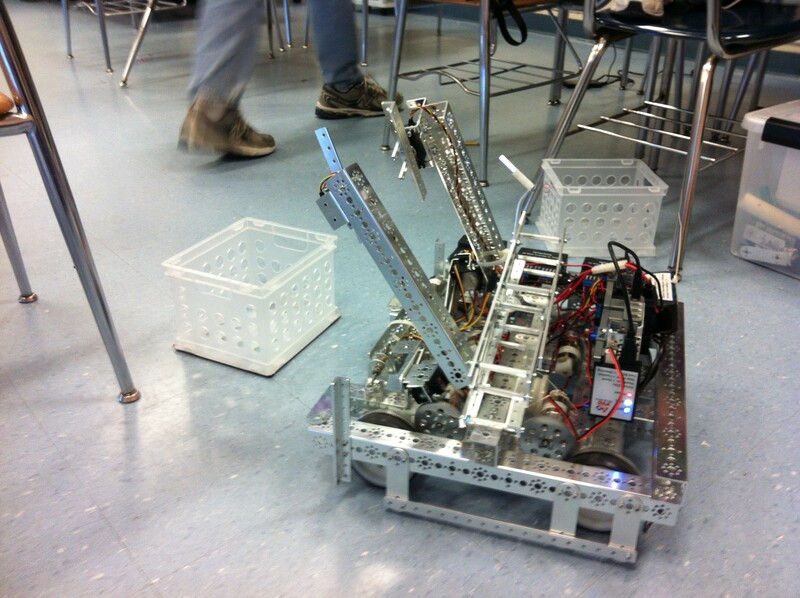 Robotics Club members make modifications to the robot. Photo by Rosanna Wang. programming robots to complete required tasks. An example of these tasks would be picking up an object and putting it down. For each task, the team receives a certain amount of points, and whichever team has the most points at the end of the competition wins. 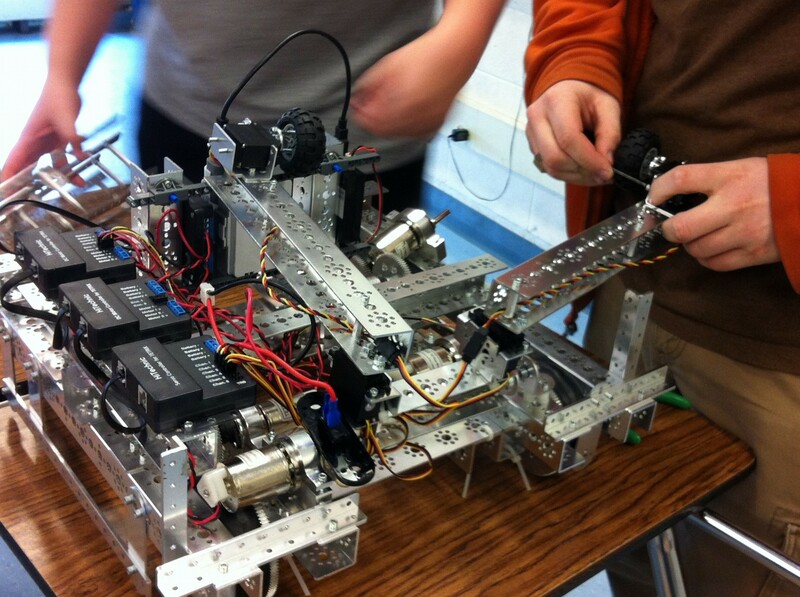 Robotics Club members manipulate the robot. Photo by Brynn Stevens. The Andover Robotics Club competed in the FIRST Tech Challenge (FTC) Qualifiers Competition this past fall, coming in 18th place after an unlucky partnership with another school during one of the rounds. But the team did not come out empty handed; Andover won the Think Award during this competition. The Think Award is given to the team that has the best documentation of their progress, ideas, notes, times, and goals. Because Andover won this award, they are able to compete in the FTC States Competition. They are also currently competing in different stages of Botball, which has events all year round leading up to a global championship. At the end of January, the Robotics Club held a fund-raiser at the Ninety Nine Restaurant to collect money for the FTC States Competition, which will be held at Andover High School on March 10. The club passed out vouchers that students could bring to the restaurant; 15% of the money spent on that meal was put toward the Andover High School Robotics Club. They raised a total of $240. The club will be hosting, as well as competing in, the FTC States Competition this upcoming Saturday, March 10, at Andover High School. The competition is from 10 a.m. to 5 p.m. and will be held in the Dunn Gym. After the SATs this Saturday, students can check out the events. This is a major competition and is open to all to watch. Whichever team comes in first place will go on to Nationals. Visit the club’s web site at www.andoverrobotics.com for more information and to contact them via email. The club meets every Tuesday and Friday after school in room 359. New members are always welcome! Previous experience in robotics or engineering is not required, only a positive attitude! Next Next post: Are Youths Ready for Voting Responsibility?